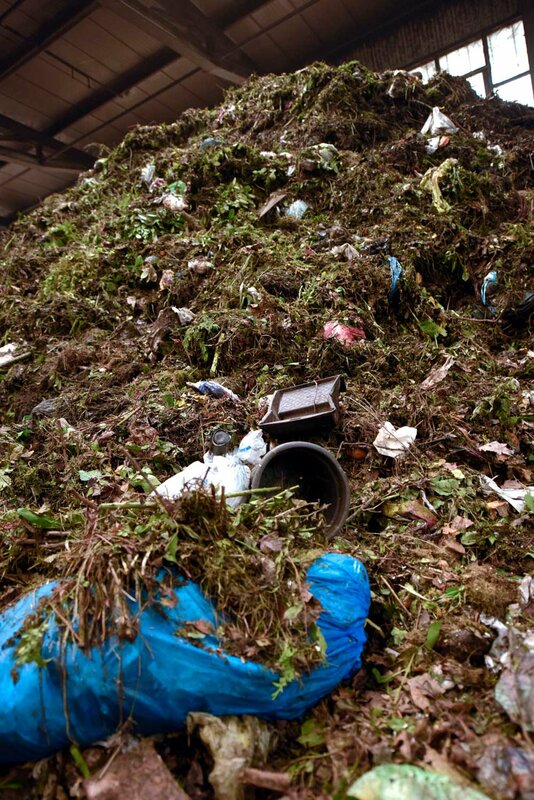 The operators of composting facilities are faced with a dilemma. On the one hand, customers are demanding compost of increasingly higher quality. On the other, organic waste contains a steadily rising amount of foreign particles. However, the sorting process begins not at the composting facility but in people’s homes as they decide what to put into the organic waste bin. That’s why municipalities in particular have to do more to educate their citizens and counteract people’s “sorting fatigue”. The UniSort Black serves as a supplemental quality assurance element in processing facilities. According to the RAL quality assurance method for compost (RAL-G2-251), only 25 cm² of foreign particles are permitted per litre of fresh substance in fresh and finished compost. This value will be reduced to 15 cm² beginning on 1 July 2018. The proportion of foreign particles in compost is also restricted by the Fertilizer Ordinance. The entire materials cycle is threatened if a company is unable to adhere to the quality criteria and standards for compost because the organic waste it is supplied with contains too many impurities that prevent the operator from achieving the required purity level. To address this situation, processing companies are working together with the sorting specialist STEINERT on one of the many components of a comprehensive solution. Among other things, the UniSort Black ejects foreign particles out of the structural material and creates a pure intermediate product. In the first step of processing, magnets above the belt remove all of the Fe components. Later on during the pre-processing stage, sieves and wind sifters pre-condition the material for processing in the Unisort Black. Once this process is finished, conveyor belts transport the material to the UniSort Black, which separates out all plastics (including all dark-coloured and black plastics) as well as the remaining foils and metals. All in all, the technologies remove more than 98% of the foreign particles. During this process, the technology can also sort out broken glass, stones and ceramics. The UniSort Black sorting system consists of an NIR (near infrared) sensor for recognizing NIR-detectable plastics as well as objects that are normally not detectable by means of NIR (such as dark-coloured and black plastics). Both types of material are sorted out during the same run-through. “The UniSort Black helps us to ensure quality in the current situation. 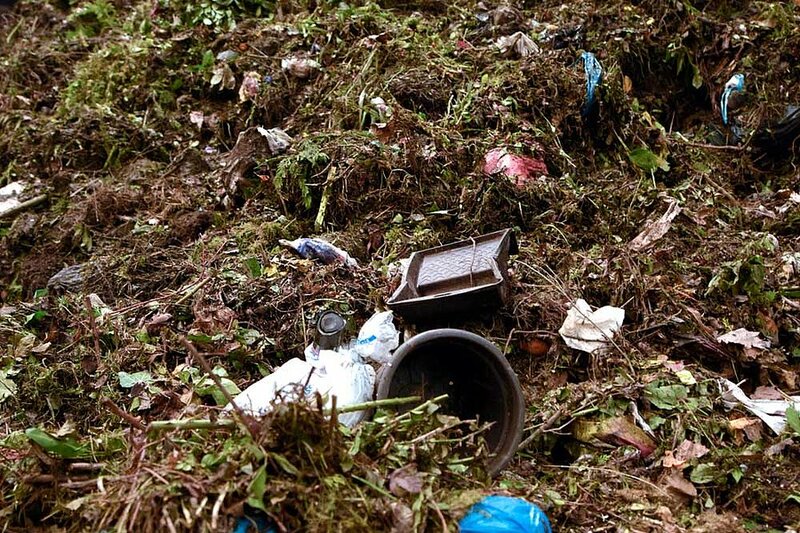 However, it cannot be the sole solution — municipalities also bear a responsibility, because they have to supply us with organic waste that is largely free of impurities,” says Klaus Remm, Head of Operations at the Olpe composting plant. The use of hyper spectral imaging (HSI) technology enables the UniSort Black to recognize both types of material simultaneously and thus sets it apart from standard technologies. Moreover, it also detects broken glass, stones and ceramics. A metal sensor can be installed optionally in order to detect and separate residual metals. Depending on the application, this technology has a throughput rate of 6 to 10 t/h at a working width of 2.8 m; the grain sizes range from about 10 to 70 mm and from 70 to 350 mm. “The UniSort Black enables us to purify the structural material so well that it doesn’t have to be incinerated. This reduction of the incineration costs by up to 90%, the return of the material into the composting process as a structural material, and the marketing of the quality-assured products pay off for the operator,” says Patrick Lindweiler, Business Development Manager at STEINERT. The STEINERT company can look back on a history stretching over 128 years. Established in 1889 in Cologne, this family-owned company is now one of the world leaders in the field of magnetic separation and sensor-based sorting. STEINERT has 300 employees and generates an annual turnover of about €100 million. In addition to 50 sales partnerships and joint ventures, STEINERT has subsidiaries in Australia, Brazil, Japan, the USA, South Africa and Germany. Text can be republished free of charge.